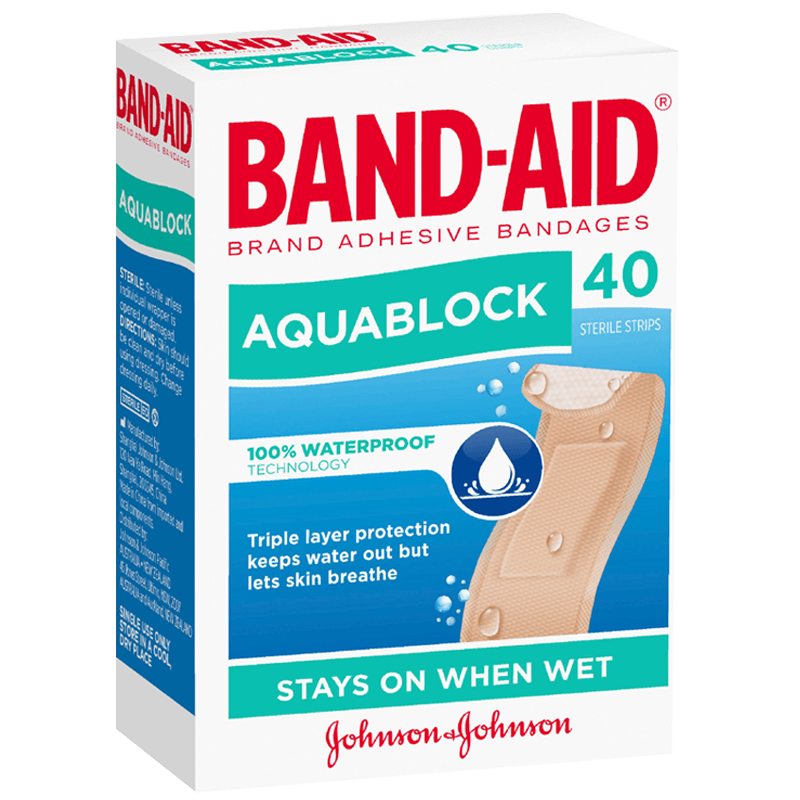 Band-Aid Brand Adhesive Bandages Aquablock Sterile Strips with 100% waterproof technology, stay on when wet. 100% waterproof: with heat seal technology to shield out water, dirt and germs even when wet. Triple layer protection: Designed with 3 layers for breathable waterproof protection.